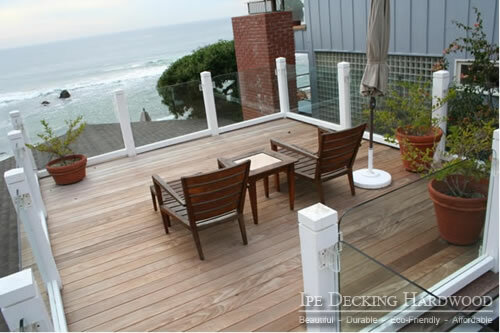 Decking so versatile, it withstands the Malibu sun, wind, coastal waters...whatever you throw at it. There is no improving upon Mother Nature. Pure, authentic hardwood decking materials like ipe (pictured above) are world renowned for their enduring good looks and durability. People who own one of these natural hardwood decks will tell you that they love it for those very reasons. We also provide you with the perfect balance of performance and cost when it comes to deck framing. Check out our line of Pressure Treated Lumber. Did you already find the right hardwood for your deck? Great! We can help you take the next step. Ordering is easy. Just call, or email us to buy decking made of hardwood.